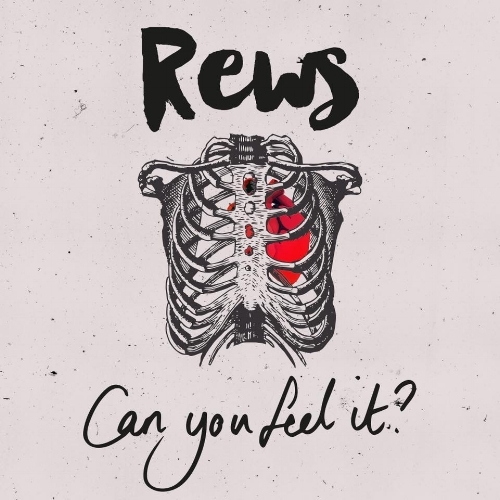 TRACK REVIEW: Rews - Can You Feel It? because I get to react to the Mercury Prize and the winners, Wolf Alice. Before I come to look at the new cut form Rews; I wanted to look at British music now and why I feel a duo like Rews could win a similar award; artists who were born to play and are heading in the right direction; new British stars who are climbing and making big moves; continued success and launching brilliant marketing campaigns; artists who have a special bond and you can hear that in the music – I will end by looking at Rews’ future and where they might head. For now, it is worth reacting to the Mercury Prize because many, myself included, were not expecting Wolf Alice to win it – I was tipping Nadine Shah to walk away without much challenge. What interests me is the predictions and how they changed the last few hours of the award night. Up until the winner was announced, many assumed Lily Allen might take it away. It was, again, a London winner and a male majority (Wolf Alice are fronted by Ellie Rowsell but there are three blokes in the band). I wonder, in terms of genre and location, the Mercury is a bit stuck at the moment. I agree there needs to be that celebration of a band/act who deserves the prize but there is that bias towards London. Maybe that is a diversion but I realised it was rare we see the prize go to a Rock/Indie act. It has been Grime and other genres that have stolen the honours the past few years. Many claim guitar music is dead – or not as potent as it was – and Wolf Alice embody a more evolved and developed sound that can mix snarl and viciousness with genuine sensitivity and maturity. Thinking of Rews and they seem to strike that same chord. I feel they are possible Mercury winners of the future. Maybe it will not be next year – I already have IDLES in my mind as the clear winners – but there is not long to go before Collette Williams and Shauna Tohill will be vying for that honour. I know there are duos like Royal Blood who have not been in the running this year and great Rock bands around the country that have been overlooked by mainstream and Pop acts. The reason I feel Rews are primed for a big award is because of their multiple sides. They are based around London but Tohill is from Northern Ireland (perhaps she lives near Bristol now) and Williams is from Corby. Both of them spend time in the capital but you would not label Rews a London duo. That is one reason why I feel they can win awards and a big prize like the Mercury. Not only are they purely London-centric and would repeat a pattern but their sound embodies the same qualities as winners Wolf Alice. 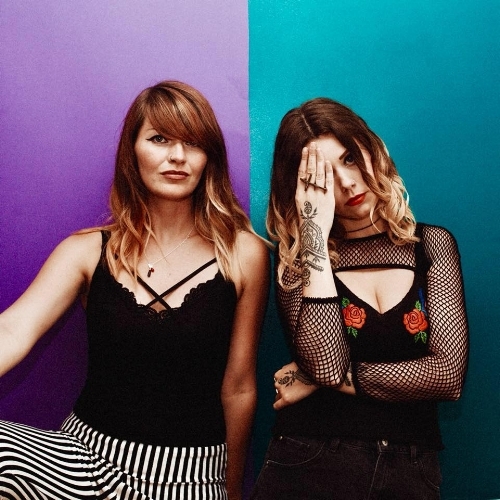 Maybe Rews are a bit more direct with their sounds but you only need listen to their latest track to realise they produce music that is essential, memorable and signals a return of guitar music. They switch between Pop and Rock and there is that fantastic Alternative thread that hangs everything together. A lot of people have been contending the Mercury and why it exists. Should it be for the best album of the year or should it award artists who could benefit from the prize money? Many claim this year has been a bad one nominations-wise but there are bands like Wolf Alice who produced a great record in Visions of a Life and have pledged to use the money to fund their own studio – they are keen to make new material and get back into things. Rews, to me, are that great balance of top-quality artists and newcomers. Their record, Pyro, was released last year and was critically acclaimed. Although they are not eligible yet for Mercury nomination – have to inch more to the mainstream – I see no reason why they cannot get there in very little time. They’d be a popular nod and I think they could really benefit from the exposure. That is all speculative – do not want to put that much pressure on them – but it is worth looking at Rews’ music and how solid it feels. I read a social media post Collette Williams posted a few days back that questioned whether she was pursuing the right course – was music for her and is she on the right course? We all have those doubts and it is natural to feel tired and as though we are not as far along as we should be. I hope that sense of defeat has passed her because we can all tell she and Shauna Tohill are where they need to be. Listen to the way Williams plays and there are few drummers like her out there. I am always lured to female drummers and, whilst they are becoming more visible and noticed, there are still comparatively few. The dedication and effort Williams puts into her music is incredible. Not only is it about creating the best songs and making them sound awesome but she has that attachment to the drums that is passionate and unbreakable. Always wanting to improve and find out more; there are not many who have the same focus as she does. The same is true of Tohill and how she operates. This is someone who does not want to do anything else and, as the lead singer of the duo, wants to deliver their messages as far as possible. I can tell there are some artists whose heart is not really in it and you feel like they are on borrowed time. Rews are definitely not in that camp! From the first notes of Can You Feel It? ; you are moved and fascinated and can tell how much work has been put into the song. Every musician has that self-doubt and needs assurance but Rews are going from strength to strength. They are getting that critical attention and radio stations are playing their music. If you have been featured by BBC Radio 1 and played Glastonbury then you have to realise you are doing the right thing! It is hard to get to the very top quickly and it can be depressing, when you put all that grind and graft in, to find yourself in the underground still. I would urge Rews to enjoy where they are now because, when they do get big, they will not have a lot of time to settle. Worldwide tours and big demands will be great but also mean they will be busy all of the time. As it stands; Williams and Tohill are building their foundations and are definitely doing what they should be. I understand them when they ask whether things are moving as fast as they should but that is just a symptom of the modern scene. Things are so packed and competitive that even the very best will have to fight for their rights. If Rews were a chaotic and disorganised duo then I would say they need to sit back and take time to focus. As it is, they have a great record label and team around them that help put the music out and are keen to get them as far as possible. The gigs are coming in and all of that experience feeds into the music. The more exposure the duo gets - that means they are sharp and ready for headlines lots. Look at how far they have come in a short time and I can only imagine where they will be this time next year. It is a busy and bustling time that I am excited to watch. If you are born to be in music, like Rews, then you want the very best and you have these dreams. Maybe it takes a little longer than anticipated to get things as far as you’d like but it will come. Hold steady and show some patience and all of the pieces will connect. I feel next year, if there is another Rews alum mooted for them, will be the biggest one for the duo. Rews are on my mind because they are a great British act who continues to rise. I have talked about their evolution but that should not be ignored. A lot of artists either stagnate or go backwards or make very small steps. Rews have a great team but the music is all theirs. Look at the way stations like BBC Radio 1 have latched onto them and the demands at their feet. People want to see them up-close and I know full well what an incredible live set Rews put on. I am not sure whether their Mercury glory will be in a few years or longer but it is something they can set their sights on. I have spoken about duos before and, whilst they are coming through and more celebrated; the solo artist is still at the forefront. I think Rews will help change that and show what variation, power and brilliance there is in the duo. They have that ability to stretch their music and that extra member. It is amazing to think all of the sounds and potency you hear from the stage comes from the two of them. 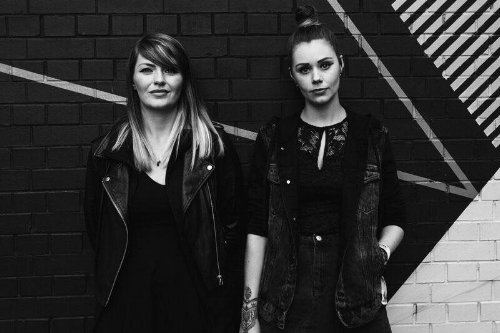 Let’s think about Rews in the context of current British music and where they might head. Look around and there are great new albums from the likes of IDLES and Anna Calvi. Both of those artists have passion to spare and they are producing exhilarating and potent works. Nadine Shah, denied the Mercury, is in the same camp. People want to bond with artists who have that strength and are delivering something heartfelt, open and passionate. Look at the new album from Christine and the Queens (Chris) and that looks set to be one of this year’s best-reviewed albums! It is getting five-star reviews all over the place and is that perfect mix of accessible and personal. Talking about gender and womanhood; it is an album filled with great tracks and inspiring messages; delivered by Héloïse Letissier with so much pride, commitment and authority. She is one of the most compelling voices around and someone who is in a league of her own. Rews already have that teeth and bite and I feel their music could go in the same direction as someone like IDLES or Christine and the Queens. Maybe Rews concentrate more on love and their personal experiences but they have socio-political minds and have focused on subjects outside of relationships. One of my tips would be to mix what they do with examinations of politics and gender; a nod to the sort of themes IDLES, Wolf Alice and the best out there are penning. That seems to be what we are attached to and being noted by critics. 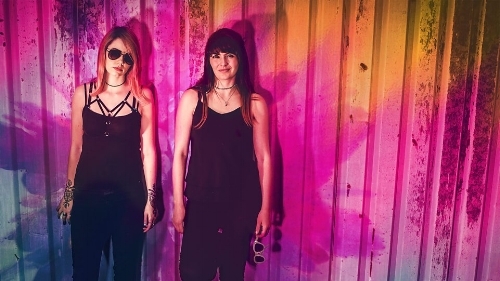 Rews already have a terrific sound and are popular and I think new lyrics features in the coming year or so would expand their work and get them to the mainstream quicker. What they are doing now is so incredible that I feel awards will come their way. We have a few terrific British acts who are delivering world-class albums and Rews have the ammunition to join them! Rews deliver brilliant campaigns and are always keeping their fans abreast. They send videos out on social media and have that direct bond and need to connect. The artwork and videos for their singles are great and you have brilliant photo-shoots out there. Williams and Tohill think about their fans and what will stand them apart. I am fascinated by what they do and how they do it. You do not need to strain your eyes too much to see Rews have a great understanding of campaigns and what will capture the imagination. They have the tools for success - and doubts of their place and potential should be quashed. I am keen to come to their new track but, before then, I wanted to look at the bond between the two. Both have been playing music for a while and it would be understandable if a slight strain came through. A lot of bands show cracks because they spend so much time on the road and in confined spaces together. Naturally, that closeness can lead to tension and it can be hard. Duos are not immune and, whilst they have few members and a bit more space, they are always together and arguments can happen. I get the sense Rews have never shared a cross word! They seem sisterly and like nothing can break them apart. Maybe there have been stressful times and bad gigs but that is more to do with promoters and circumstances out of their control. One can sense the closeness of Williams and Tohill and realise how much they love one another. Listen to their music and go to a gig and you can feel how they connect and vibe off of one another. You can sense that degree of simpatico and they both know where the other one is. That kinetic and telekinetic bond is not something that is natural to everyone. One of the reasons albums seem to work and get noticed is because of the understanding between musicians and real relationships. People can tell when things are faked or strained and, as such, bands and duos need to be on the same page and solid. Rews are one of the tightest and most assured duos in the world. I often worry when you have duos comprised of those in relationships. It is good having that natural affection but working with someone you share your every waking moment with, I feel, can be a gamble. If you are good mates then you get to separate at the end of the day and not be around each other all of the time. I am not suggesting Rews’ members do not want to hang every hour – they are very close – but they get to be with boyfriends/friends/family and they have those two different worlds. I feel everyone should keep an eye on Rews because all of that magic is there – how long until they explode and are scooping up awards?! Can You Feel It? opens with plenty of mood and atmosphere. Rather than leap in with pummel and vocals; you get this teasing and winding build-up that reminds me of Metallica. Past tracks from Rews have put me in mind of Royal Blood and, in fact, with every track that become more individual and distinct. I can hear embers of Metallica’s eponymous album in the thick and pulsating drums and viper-like guitar. You feel something wonderful is brewing and are happy to swim in the introduction. I feel a lot of artists do not expend much effort when it comes to introductions but Rews are masterful when it comes to capturing you within a few seconds! Another reason why Rews are so majestic is because they can switch from a snarled and dark introduction to a lighter and more Pop/Indie verse. Tohill’s voice has that lightness and accessibility but there is distinct punch and primal edge. The lyrics ask what you do when you do not let your feelings out and what’s in your heart show. With Williams backing on vocals; words are repeated and there is this great skip. The heroine asks what happens when things are contained and you are not revealing what is inside. Rather than race through lyrics and put too many words out there; Rews are really effective and potent when it comes to linguistic economy. Creating melody and a sense of dance with a few words; you are mesmerised by their delivery, concision and style. What I mean is they deliver thought-provoking thoughts with very few words. Repeating certain phrases and twisting lines together is much more impactful than a load of lines that gets a bit messy. For my money, Can You Feel It? is one of the strongest things Rews has put out into the world. Williams provides that solid and driving beat that gives the song its backbones, grumble and control. Tohill leads superbly and the combination of the two is infectious and natural. What attracts me to the song is its catchiness and energy. Lines are almost chanted and you smile whilst thinking. The words concerning hurt and that desire for revelation hits us all. Our heroine talks about people saying they love you and leaving; it is not what you deserve and you feel hurt – letting that out and showing that pain is needed. As I say; rather than pack the song with lots of lines and not leave an impression in the mind; Rews repeat lines and it means the sentiments get into the mind a lot more quickly. The chorus takes the song in a new direction and tightens things up. From the more relaxed verses; the duo ramp things up and power through the chorus. Tohill asks whether we can feel it in our veins. That anger and sense of hurt needs to come through and defiance shows itself. (Make sure you watch the lyric video that accompanies the song because it is visually stunning and will add to your listening experience). We need to dance like nobody’s watching; sing as though no-one is listening – love will come again and things will work out. The song has a narrative arc and, by the second verse, questions come back in. The first verse asked what you do when you have pain and are not sure what to do. The chorus provides answers and suggestion and now, having followed that advice, what are you to do when you have pulled through? In spite of a spiritual release and having unleashed some anger; the heart has been refuelled and those painful memories are still there. Tohill and Williams know recovery will happen but keep bringing back that mantra: letting things out and not burying that pain deep inside. One gets a powerful and more primal second chorus. The delivery is the same but, having more story and revelation means its delivers a bigger punch. I wonder whether Can You Feel It? comes from a personal places and Rews have felt that hurt. Everyone can identify with what is being sung and Rews are not an act who does things like anyone else. Many focus on love and hurt in cliché ways and their music can be rather stilted and samey. Not only do you get a very powerful and intelligent song but there is that sense of the catchy. Listen to the way the words twist and turn. It is wonderful hearing how Rews change between songs and how solid their material sounds. Everything is tight and polished but not so much so it takes away that distinct energy and personality. I know Rews will be looking ahead to more material but they should take time to savour what they have created. The lyrics video for the single is brilliant and stunning to see. I would like to see an official video and feel they could come up with something insane. I know Can You Feel It? has been performed live and been in their pocket for a while but it has never made its way into the studio. 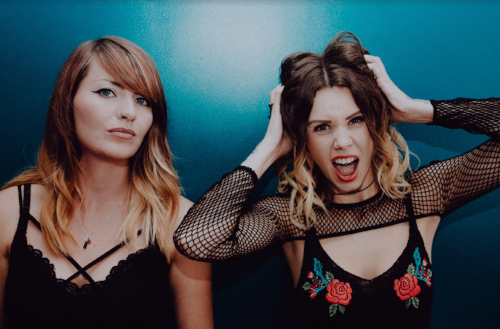 Rather than release another tracks from Pyro; Williams and Tohill are keen to push forward and explore fresh ground, Both are excellent songwriters and performers and they are at their most solid and exciting right now. I am impressed by their range and how they can produce such a spectrum of sounds. Where they go from now is up to them but I feel they have a chance to look at what is happening in the world and bring their take to issues like gender/discrimination and social concerns. They are brilliant when documenting matters of the heart and soul but I wonder we will get any assessments of what is bubbling up in the news. In any case, they have delivered an exceptional song in Can You Feel It? and they are definitely on the right course. A brilliant duo who keep getting stronger and more ambitious – keep your eyes in Rews and throw your love behind them. I have talked a lot about Rews and what they are putting out into the world. Things are busy for them right now and, with Can You Feel It?, into the ether; they will get more gigs and demands Today, they are in Sheffield and, as part of their autumn tour, they head to places like Glasgow and Birmingham. It is not long until they are back in London and it is a great time for them. Getting to great venues and delivering their music to hungry crowds is what they are all about. The social media love is out there and, gradually, they are poking their way into the big leagues. It is the commitment and effort they expend that bowls me over! The sheer energy and focus to keep going and playing all these gigs is not something anyone can do. Rews are determined to get their music to as many people as possible and they will not rest! I hope they do get a break before Christmas because I feel they have a lot more songs bubbling away and ready to unleash. Having that stage-studio balance is important and many will look and wonder when a new Rews record comes out. I feel the duo have a big future in the U.S. and would not be shocked to see them tour the East and West coasts next year. In fact, I know they could go down a storm in Australia and have a very busy 2019. They have already toured around the world but, with new material out there, there is going to be increased demand; new fans coming through and the chance to see new places. Can You Feel It? has their natural and distinct D.N.A. but it explores new ground. Every release finds Rews upping their game and more confident than before. I know they will be a big success and go a very long way.